In short, data loggers are small electronic devices used to monitor environmental parameters such as temperature, humidity and pressure. Data loggers serve a wide variety of industries, many of which are regulated and must meet compliance standards. Food processing facilities, concrete curing, art preservation and many medical settings are commonly equipped with data loggers. A common misconception among users is that data loggers can only be used to measure temperature and humidity, when actually, there are countless applications for data logging spanning many different industries. Data loggers can easily be connected to transducers, meters and sensors to create a record of how often a door is opened, how long a light is turned or to measure water levels and flow rate or even be connected to an anemometer to record air speed. Inside every MadgeTech data logger is an intricate circuit board that includes memory storage, sensors or connections for sensors or probes to be attached, as well as a battery for deployment without the need for power. 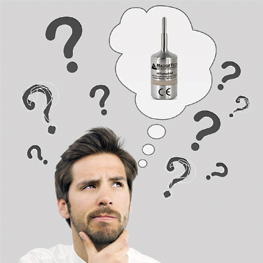 Data loggers can range widely in size, some being as small as a coin. Varying specifications means that different loggers can measure a wide variety of parameters and ranges and be exposed to different environmental conditions. Historically, the monitoring of environmental parameters has been completed by using chart recorders or, less reliably, manually taking measurements. Data loggers not only create a reliable streamlined process and electronic records for regulatory requirements, but also require less man power, giving users more time to focus on other tasks. Some data loggers have the ability to wirelessly transmit recorded data in real time to a computer, or to the cloud for instant viewing on any internet accessible device. Many wireless loggers also possess the ability to sound audible alerts and even send users email or text message alerts when thresholds have been breached. Data loggers typically work hand in hand with their manufacturer’s software. Generally, users can control and configure the data loggers from within the software including setting reading rates, alarm thresholds and delayed start and stop functionalities. Once data has been collected, data logger software allows users to view the data in a variety of different formats including statistic, graphic and tabular views. Workflows can be set up to automatically download data, create reports and save reports in specific folders to keep records organized for effortless compliance. As regulations continue to be amended and stricter monitoring demands are imposed, data loggers continue to become more relevant and vital to many different industries.